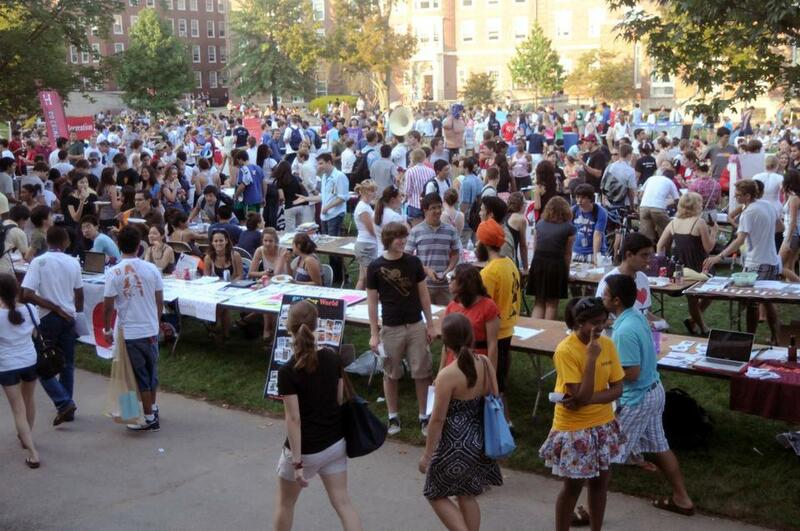 There’s nothing like the fall activities fair to strike fear into the hearts of young freshmen. Suddenly people stop asking what your name is, what hometown you’re from or what your freshman dorm is, and instead start asking which consulting group you’re trying to join or what cut comp you’re completing. It’s scary. It’s overwhelming. And it’s also totally not that big of a deal. As we near the end of the semester, when everything is suddenly 1,000 times more stressful, it’s time to get real about all your commitments. Here’s the tea on clubs. You don’t have to stack your resume with yearbook, National Honor Society positions, and lacrosse medals. No matter where you’re heading right after college, nobody will really care about the seven clubs you were ~kind of part of~ your freshman year. Don’t fall prey to the Harvard push to overcommit and then inevitably underdeliver. Every person has their own threshold for what they can reasonably do. Here’s the dirtiest little secret about life: free time is the best time. Cutting down on clubs means more time to do everything else, be it p-sets or actually having a social life. You can have an extra long meal in the dhall with friends you rarely see. You can reenact the First-Year Outdoor Program and walk to the Quad. You can use your Board Plus to get a morning (not 2 a.m.) coffee, and then for once in your life get to bed at a normal time. We’re not saying you should stop doing every club. Clubs can offer a fun community, a way to while away the hours, or something to talk about to your grandmother when she asks you how college is going. So stick with the ones whose meetings you genuinely want to go to. Clubs are something you choose to do, so they shouldn’t make you miserable. If a club doesn’t spark joy, let it go. Your merit as a person is not correlated to whether or not you make the comp for a consulting/finance/art/humor/literally anything organization. Think about it this way: everything you don’t do leaves more space to do other things, and at Harvard we’re never at a loss for things to do. Go to a talk at the Business School. Get a part time job. Actually do your readings for class. Clubs don’t have to take over your life. This is college, and while clubs can be great (especially ones where you write for The Crimson’s Blog *wink wink*), there’s nothing like the rush of clicking “Delete this and following events” for a club meeting on your Google Calendar. Self care is knowing what you can and want to realistically commit to, and that’s something we could all use a little more of. Say it with us: Clubs! Are! Not! That! Important! Everybody! Chill! Out!